So I made a tiny mistake last week, by telling you that by Cozy Fur outfit post was the last outfit of the year. In actual fact, my new years outfit is! I have been doing so much blog prep for the start of next year that I completely spaced about this post, which I have been looking forward to sharing for a while. 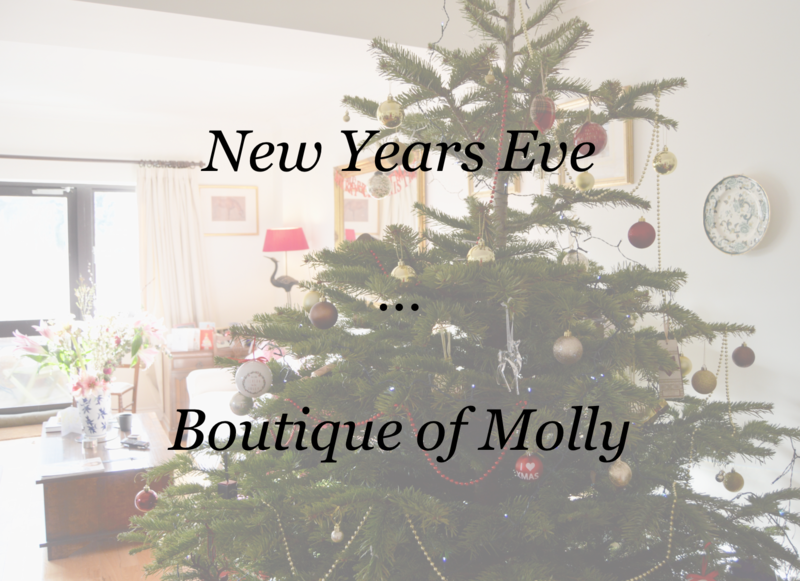 I have recently been in contact with a company called Boutique of Molly, and have been admiring all their beautiful pieces, trying to find the perfect one for new years. I feel as I have gotten older, new years as become much more of a celebration, and I enjoy it so much. This year I wanted to pull out all the stops and really dress up, enjoying some quality time with my amazing friends. 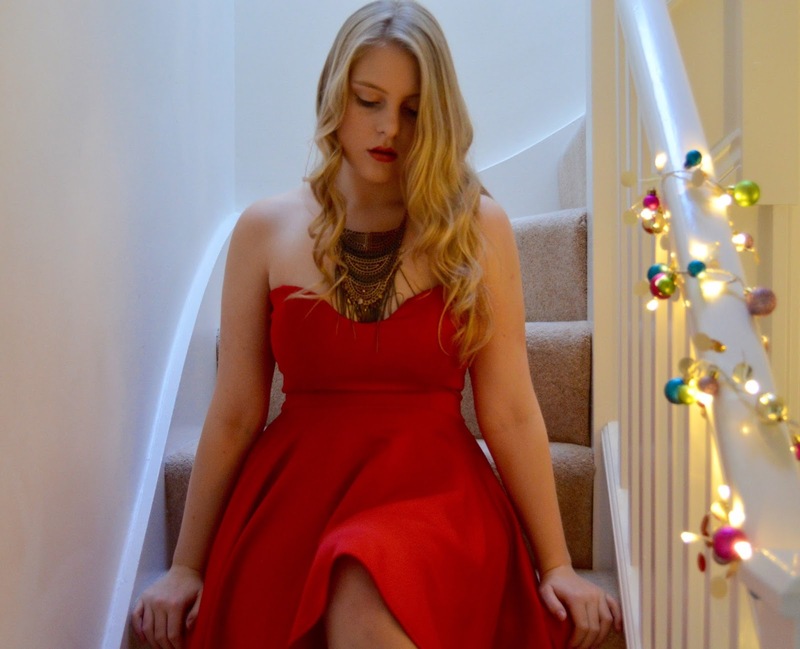 So, I finally made a decision with the dress, and I went for a simple red strapless dress. 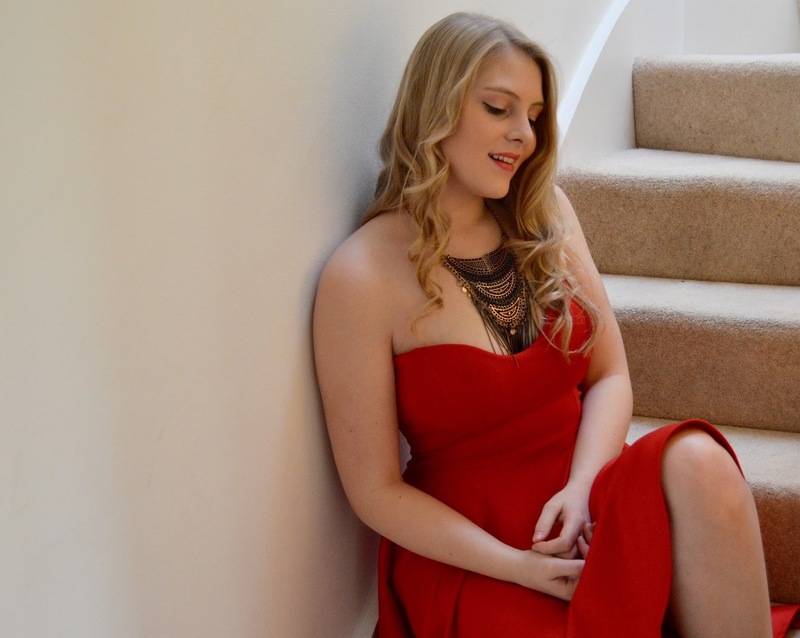 Strapless dresses for me can go either of two ways… amazing or a disaster. I feel like my body type just isn’t the right shape to pull them off, however I think with this one I can get away with it. It isn’t too over the top, and has a simple sheen to it making me feel in the party spirit. As this is so simple, I felt it needed jazzing up a bit, so I opted for a bold statement necklace, and some vibrant black and red heels. Natural curly waves finished the look, with a glossy red lip, curtesy of Dior. I have finally perfected the casual curl with my hair, which I guess is a little taster of what is to come in the new year!